For those parents who have decided that their child will attend a public school, for which the first year of entry is year 9 at age 13, the transition from prep school to senior school follows a pre-determined and clearly defined path. However, for those parents who have chosen a senior school with entry points at both year 7 at age 11 and year 9 at age 13, deciding when to move on from prep school can be a difficult decision. Similarly for those parents who have chosen a senior public school with the first year of entry at year 9 aged 13, but who currently attend a state primary school or a prep school which finishes at the end of year 6 aged 11, there is a similar dilemma as to what form their education should take for the 2 year gap in-between. Below you will find some suggestions as to points you might like to take into account if faced with one of the two education dilemmas highlighted above and faced with weighing up the best course to take. Staying at prep school to age 13, even though the intended senior school also has entry at year 7 aged 11? Big fish in a little pond. During the last two years at prep school the pupils have the opportunity to take on roles of responsibility such as prefects or captain of the first rugby team. With the considerably larger size of senior schools in comparison, these opportunities are harder to come by. For a less self-assured child, remaining in the small and nurturing environment of a prep school for longer may help to build their confidence. Being the top year of a senior school at age 12/13 as opposed to being the youngest members of the senior school community encourages maturity and independence. For example you are unlikely to see a year 8 pupil in a senior school accompanying visitors on a school tour or making conversation with them over lunch, where this is expected behaviour for the senior pupils in a prep school. Friends are more likely to be moving to new schools at the same time, so there will be some faces to recognise when the new school term at senior school begins. Prep school fees are usually, but not always, cheaper than senior schools. It is important to ask the senior school how many places there are available at both year 7 and year 9 entry and what are the typical numbers of applications at each age. Bear in mind that competitive/over-subscribed schools can sometimes be easier to gain entry at year 7, rather than competing for fewer places at year 9. Friendship groups made in year 7 may be harder to break into if starting at the senior school in year 9. It is important to ensure, if starting at year 9, that there are a significant number of new pupils at this age. Learning new sports such as lacrosse or hockey may be harder if joining at year 9 when the other members of the year group have already been involved for two years. Studying at the senior school for years 7 and 8 allows plenty of time to settle into a new school routine and get used to new teachers before GCSE choices have to be made and the preparation for public examinations begins. Moving from prep to senior at age 11, even though the prep school goes through to age 13? Grammar schools and other reputable state schools, if entry criteria are achieved and a place allocated, offer first class free education from year 7 onwards, saving significant costs in school fees. Entry to senior school at year 7 through interview and the school’s own test papers might, for some children, result in less pressure and worry than taking Common Entrance exams at age 13. For a confident child who needs the stimulation of taking on new and larger challenges, moving to senior school at age 11 will undoubtedly allow them to spread their wings. If your child is very committed to an activity outside the school provision such as football, ballet or riding, this can free up more time to follow this pursuit since there will most likely be more flexibility within a senior school programme. There will be wider access to specialist teaching and coaching, across a whole range of academic subjects, as well as sporting and other extra-curricular activities. Leaving good school friends two years before necessary. Friends are less likely to be moving to the new school at the same time. There will be less opportunity to take up positions of responsibility at a younger age. Competition for these will be much greater due to a larger number of pupils. Competition for places in the ‘A’ sports teams will be much tougher than at prep school, although there may be many more teams across a broader range of sports, so new opportunities may also arise. What to do if the prep school or primary school finishes at age 11, but the chosen senior school does not start until age 13? Consider applying for a place at a boarding prep school for weekly, flexi or full boarding for year 7 and 8. If your chosen senior school is a boarding school, this can be a good way to get used to being away from home in the smaller, nurturing prep school environment and may avoid settling in problems such as homesickness later. Apply to study for two years at a prep school which has close links with your chosen senior school. This will allow you to take advantage of their in-depth understanding of the admission process to that particular school and if appropriate and necessary, they will negotiate with the senior school on your behalf. If your child will be attending your chosen senior school on a bursary, some public schools will also contribute towards the fees for this two year period at prep school, as part of their financial assistance. Why Should I Be Wary Of Independent School League Tables? What Can I Do If I Find That I Am Unable To Pay The School Fees Due To Sudden Unforeseen Circumstances? 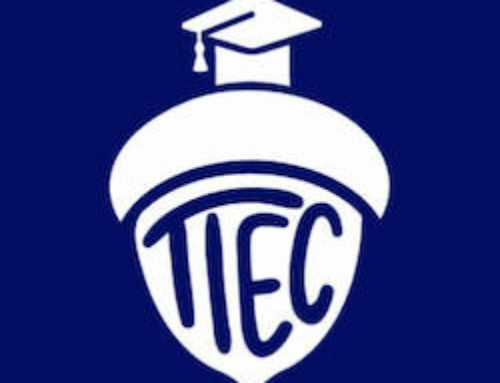 I have read your Privacy Notice and Terms and Conditions and am happy for TIEC to send me updates. Our consultants advise parents one-to-one. To read about our services, click the links below.